Climbing over track obstacles to get a better time is a huge plus. Engineers get a bad reputation for not having a sense of humor, but this simply isn't true. Engineers just have different ideas of comedy. When they want to joke, they take SUVs meant for bad terrain and add enough power to outrun sport cars. Straight line speed isn’t the only addition; they can even coax impressive handling out of the machines to get better lap times than some track cars. To celebrate granting soccer moms the ability to keep up with last generation of Ferraris, here are five of the hottest SUVs you could, and should, take to the Nurburgring. 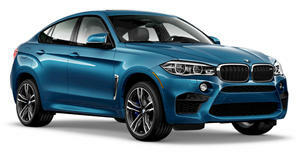 BMW X6 M Everybody thought BMW was insane for thinking that a 5,300-pound SUV could be an M car, but then again BMW defied logic in the 80s when it turned comfortable saloon cars into Porsche-beaters with its M cars. It seems that the Bavarian engineers had the last laugh because the $103,050 X6 M’s 567 horsepower twin-turbo V8 can pull serious lap times. A 0-60 mph launch goes by in 3.9 seconds and the BMW charges past the quarter-mile line in 12.4 seconds. How fast is this? The luxury SUV would humiliate a 2009 Ferrari F430 by beating it to 60 mph by 0.2 seconds and best its quarter mile by a tenth of a second. Brabus G800 Mercedes proved that it could make a dinosaur fast by strapping a 6.0-liter twin-turbo V12 rocket under the hood and calling it a day. But Brabus engineers wanted to turn performance figures into a laughing matter. By treating the car to racing technology, like reworked turbochargers and four intercoolers, the V12 kicked out 800 horsepower and over 1,000 lb-ft of torque. This helps the $381,000 SUV get its obese 5,676-pound frame from 0-60 mph in 4.2 seconds and it even fights off wind resistance all the way up to its 168 mph top speed. Even the ancient Egyptians would be impressed with such engineering. SRT Jeep Cherokee Jeep made its greatness known by transporting American troops to victory in World War II. However, the automaker wanted to take things back to the prohibition/bootlegging era by creating a hot-rodded version of the Jeep Cherokee. To sweeten the deal the 6.4-liter Hemi V8 is the cheapest performance SUV on this list at $63,990. For that money you get 470 horsepower enabling a 0-60 mph run in 4.6 seconds. The mega-loud Hemi even keeps up with a brand new Mustang GT, in case some kids with their dad’s credit card want to race at the stoplight. Land Rover Range Rover Sport Land Rover wanted to join the absurdly fast SUV party and did so by adding a supercharger to the 5.0-liter V8 in the Range Rover and sprinkling on some sport badges. The most powerful version costs $112,345, makes 550 horsepower, and accelerates to 60 mph in 4.6 seconds. Stiff suspension allows the car to pull impressive lap times on a racetrack. 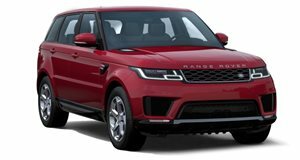 Even Richard Hammond was impressed after he took a Range Rover Sport through some of the worst terrain imaginable and then let the Stig get a neck-snapping lap time in the car. Porsche Cayenne Turbo S Porsche’s approach to making a fast SUV was the opposite of Land Rover. Instead of starting with a great SUV and adding power it started from the ground up, using its by world-renown racing prowess. A respectable 570 horsepower comes from a 4.7-liter turbocharged V8 and with the help of an all-wheel drive system the SUV goes from 0-60 mph in 4.5 seconds. Torque vectoring, adjustable suspension, and carbon ceramic brakes are some of the racing tech that comes standard with the $114,595 base price.